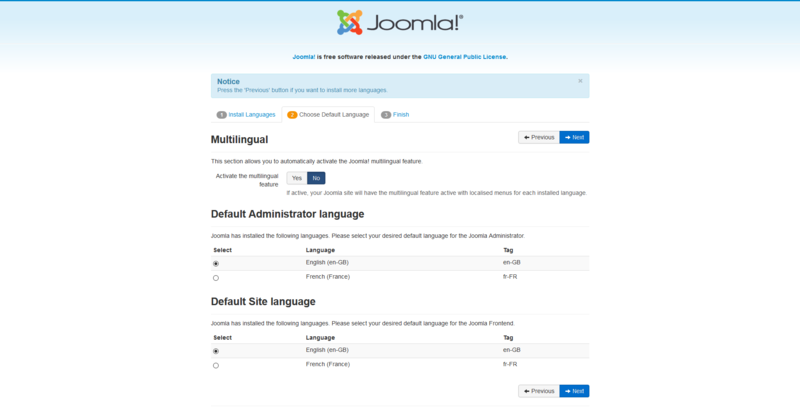 ﻿Installing Joomla! for the first time is very easy. Joomla!’s built-in web installer makes setting up your new site a breeze. You’ll need to meet the following requirements to install and use Joomla! 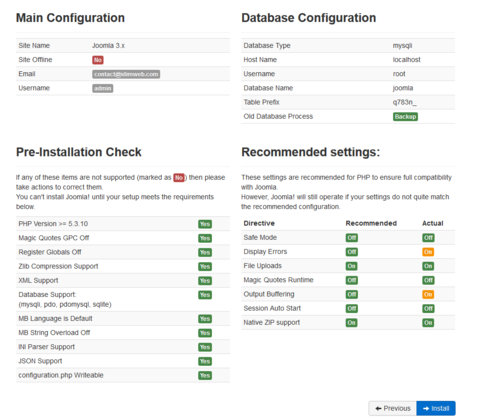 With the above requirements met, a database created and the required Joomla! 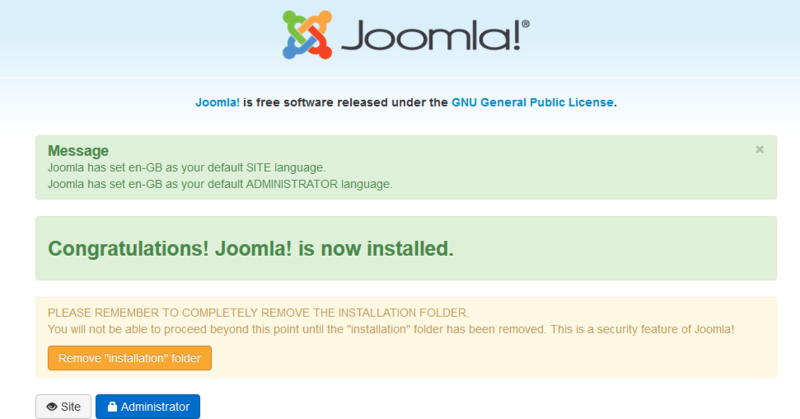 files in place, you are ready to install Joomla!. Start the Joomla! web installer by opening your favorite browser and browsing to the site's domain name. On host installation you will use http://www.yoursitename.com. 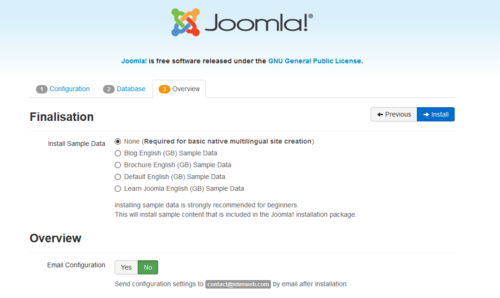 If your are installing Joomla! 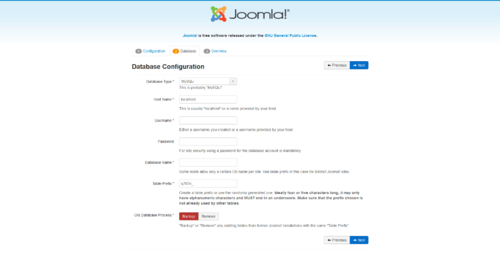 locally, you will use http://localhost/<path to Joomla files>, and you should see the installation screen. Joomla! will try to identify the Select Language field automatically from your browser's language. You can change this if needed. A list of language packs is displayed. Make your choices for default languages. This page was last modified on 5 November 2018, at 05:50.